Last night, amid the chaos that is downtown San Diego during Comic-con, we got to join a few thousand others in enjoying a concert experience based on the music of Final Fantasy. This is a Symphony project that played in Europe over the last couple of years, and has reached US shores for the first time. 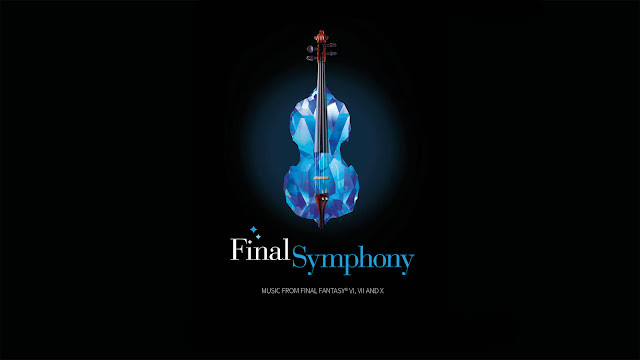 It differs from other symphonic approaches to these soundtracks (like the excellent Distant Worlds recordings), in that this isn't the orchestra simply playing the music as originally scored. This is a new arrangements using all of the original music to inspire something new. Fans of the music will recognize all of the original inspiration in there, but it's all put together to make something new. Something different. Why take my word for it, when the original composer has a thought or two . . . It was a fantastic experience to hear it live. I'm far (far!) from a classical music buff, but I had a pretty broad smile on my face throughout. I had expected to like the music inspired by FFX the most, as it's my favorite of the FF soundtracks, but honestly the section inspired by VII blew the other two out of the water for me. Perhaps its that they are part of my more formative gaming memories, but the arrangement had a special energy to it. They have another two shows in this brief US tour. One in Baltimore tomorrow, and another in San Francisco next week. Seriously, if you are close to Baltimore or San Francisco over the next week, and can still get tickets, you won't regret it!